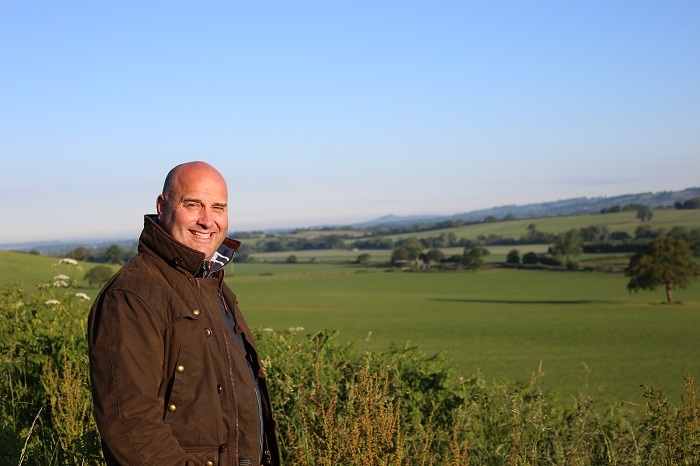 FMBE Magazine spoke to Richard Clothier after his brand, top ten cheddar manufacturer, Wyke Farms had started a campaign that revelled in the brand’s Somerset heritage. This year the Passion for Somerset board which includes Richard, will host their second Somerset Day, taking place on 11th May. In support Wyke Farms have teamed up with two other much-loved Somerset-based brands, Thatchers Cider and Miles Tea & Coffee, to run a #LoveSomerset social media campaign throughout the month of May. The three brands who are all family run, and have long-standing Somerset heritage are hoping that by communicating what Somerset means to them, it will encourage others to participate, raising the profile of the County, which is known to be loved by locals and visitors alike. Wyke Farms has the second largest social media following in the category, and the best overall engagement rate (10% weekly average compared to industry 1%). The company hope the #LoveSomerset campaign will reach around 500,000 people during May. The Wyke Farms products are available nationwide and can be found in Asda, Co-op, Makro, Sainsbury’s Tesco and Waitrose. For a family business as big as Wyke Farms, how important is local reputation? Very. The art of traditional cheese making will never be lost on our family farm in Somerset where we have been farming the land and making Cheddar since 1861. Today, Wyke Farms is one of the largest family run- independent cheese makers in the UK producing over 13,000 tonnes of Cheddar per year to the same award winning secret recipe. A few things have changed since my grandmother Ivy made her first truckle of Cheddar all those years ago, but one thing will always remain the same – our passion for making great tasting Cheddar. We also ensure we work in tandem with the Somerset countryside that not only provides our food, but also our home. Because of our heritage we have some great ties with the local community; employing people from the local area and also working closely with local farm suppliers who produce milk for our cheese-making. Since 2012 we have been 100% self-sufficient in Green Energy, a first for a Somerset food-producer, but also a first for the dairy industry. As a result we work closely with local schools and community groups, and even invite people to Somerset from further afield, to knowledge share and show them our Sustainable Energy Centre and cheese-making operations. How will the #LoveSomerset initiatives help to build or underline the brand values? We always refer to Somerset in our brand communications. Without Somerset their wouldn’t be Cheddar (that’s a good reason in itself to #LoveSomerset! The Mendip Hills have always and still do provide the best pastures for our cows, and the fact that our Cheddar is made just 15 miles from the town of Cheddar only adds to our provenance story. The #LoveSomerset campaign will build on our brand values of: taste, family, provenance and sustainability. Will there be support in stores for #LoveSomerset in terms of sampling or point of sale promotions? We have a great working relationship with Tesco and will be sampling in their Shepton Mallet store on May 11th, along with friends from Thatchers Cider and Miles Tea & Coffee. They both also have a long-standing heritage in the Somerset region. Will there be instore promotions with the other Somerset brands (Thatchers and Miles)? Vouchers will be given and we will be sampling our Mature, Extra Mature and Vintage Cheddar varieties which are all available to buy in Tesco stores. Will you expect to see a peak in sales locally? It would be nice! We know from market research that shoppers are keen to support local producers and buy produce knowing how it’s been sourced/made/grown, so we are hoping it will increase sales locally, but, for us it’s about working with likeminded brands and celebrating everything about Somerset. There’s so many people with stories to tell; from families who have resided in the county for generations, to those who just love to visit and through our #LoveSomerset campaign we want to involve and engage everyone and anyone (businesses too) that want to shout about why they #LoveSomerset. Is Wyke Farms using a sales team to visit stores (either in house or outsourced to a field sales agency)? We have a great team of people who all work with us (in house) to tell our brand story and sample our Cheddar to shoppers. Will #LoveSomerset have a halo effect nationally? Hopefully! Through working with other like-minded producers in Somerset who are also known nationally it will help us show people further afield how great Somerset is. How easy is it to make sure that the brand and its local values are properly presented further afield? Somerset as a County is well known for its variety of great businesses, especially in the food and drink sector, so therefore we find shoppers are quite receptive to our Somerset values, but as with anything in the grocery sector, especially in the everyday Cheddar market, we have to continually work to ensure our brand communications; which include packaging, social media, sampling events and other forms of media all work well to tell shoppers our story.